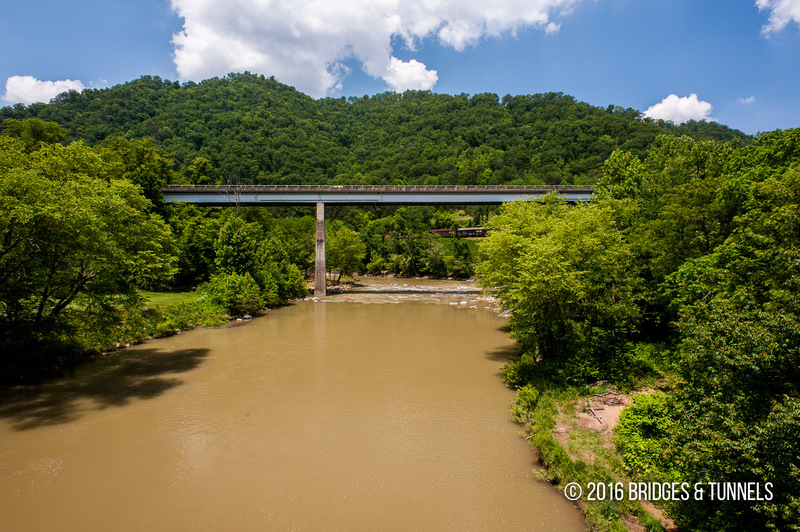 The Elkhorn City Bridge formerly carried KY 80 over the Russell Fork in Elkhorn City, Kentucky. 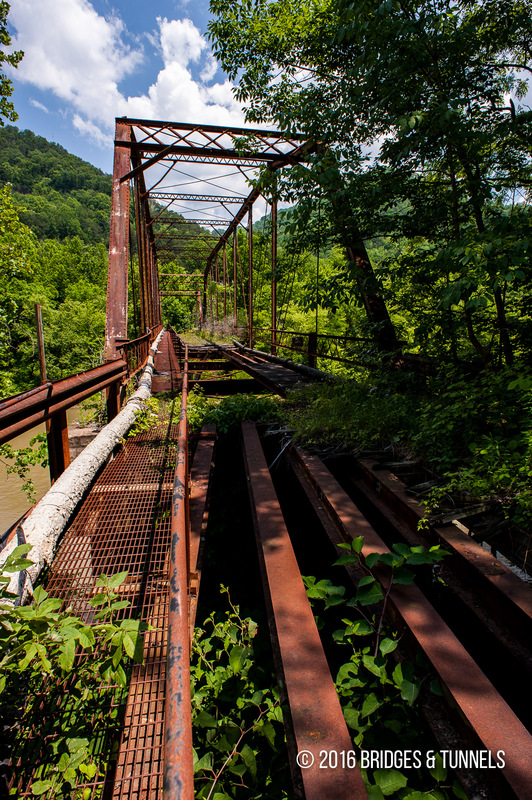 c. 1968 bridge that was replaced in 2015. 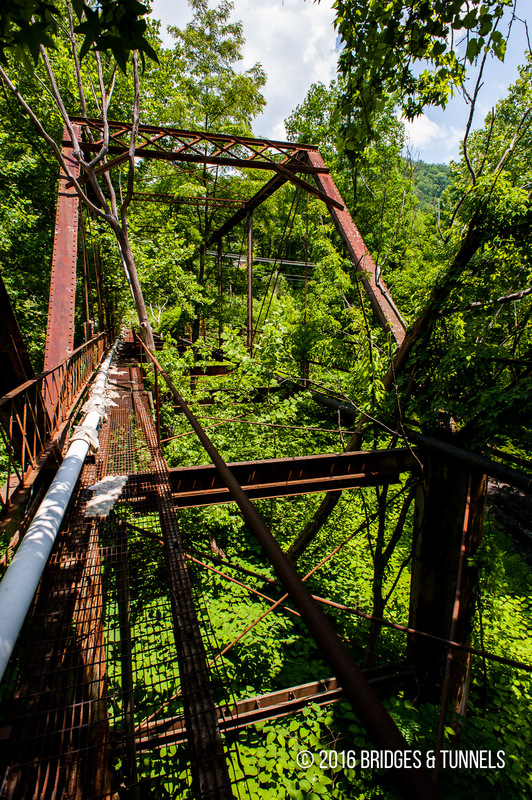 Constructed in 1912 by the Champion Bridge Company of Wilmington, Ohio, the crossing consists of one Camelback through truss, one Pratt through truss and one Pratt pony truss. 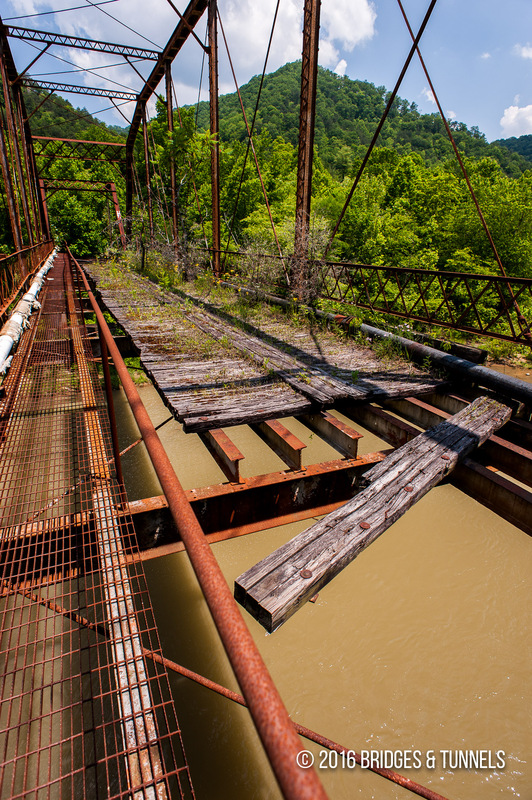 It was bypassed in 1968 and the old crossing was converted into a pedestrian only bridge.